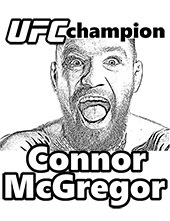 Coloring pages with athletes contain huge amounts of energy, strength and faith in success. 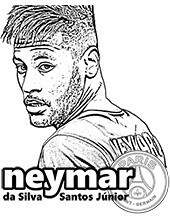 But it could not be different when you find top football players like Cristiano Ronaldo, Messi, Neymar, Dybal, Pogba, Mbape, Pele and Maradona in one place. 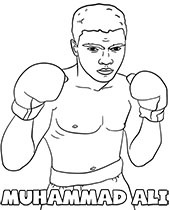 There are also NBA basketball players Michael Jordan, LeBron James, Kevin Durant. 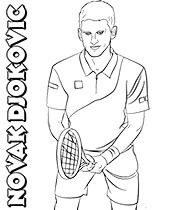 And even top tennis players Rafael Nadal, Nowak Djokovic and Roger Federer. 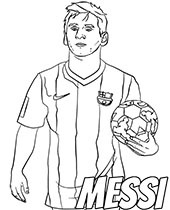 Check athletes coloring pages for free! Real and Atletico are notable football teams representing which city? Real and Atletico are from Madrid (Spain). What country does Cristiano Ronaldo come from? Cristiano Ronaldo comes from Portugal. NBA is an American football or basketball league? 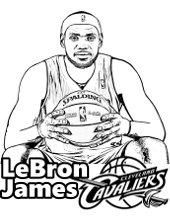 NBA is an American basketball league. 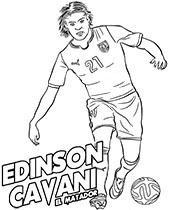 In what position does Edison Cavani play? In the nineteenth century, golf balls were made of leather and feathers. After a long evolutionary process, they are currently made of plastics and each one has an average of 336 characteristic hollows. The swimmer Michael Phelps himself won more gold Olympic medals than representatives of over 90 different countries in the entire history of the modern Olympic Games. The most titled country of the summer Olympic Games is the United States. But in the winter Olympic Games, it is Norway. Many people wonder if a tennis ball is actually green or yellow? World tennis authorities finally have solved this problem. They officially confirmed that it is a fluorescent yellow color. The Adidas company has devoted over 2 years to designing and testing a new ball model prepared especially for the football World Cup played in 2014 in Brazil. 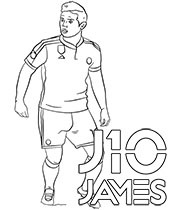 Over 600 professional footballers from 30 teams and 10 countries tested this ball. This was to create a perfect ball for all possible conditions. Spalding basketball balls are made from a mixture of synthetic rubber and leather. According to research, each ball should withstand 10,000 bounce which in average recreational use should be enough for about 4-5 years. China did not win a single Olympic medal until 1984. Meanwhile, during the 2008 Olympics in Beijing, they won as many as 100 medals! The Federer name is extremely easy to enter on the computer keyboard because all the letters you need are in the immediate vicinity on the left side of the keyboard. Check on your own! 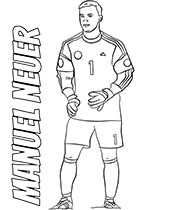 Sportsmen coloring pages with athletes is a place where you will find a lot of your sports idols. 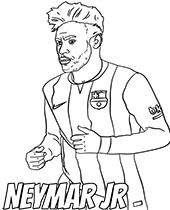 There are sportsmen coloring pages with footballers to print, among them Cristiano Ronaldo, Leo Messi, Paulo Dybala, Paul Pogba, Robert Lewandowski, Gareth Bale, Manuel Neuer and Kylian Mbappe. 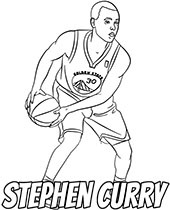 But there are also coloring pages with NBA basketball players such as Michael Jordan, LeBron James, Kevin Durant, Tim Duncan. 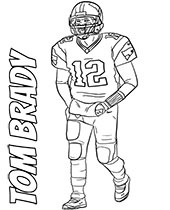 Moreover, you will also find representatives of the world of tennis (Federer, Nadal, Djokovic, Venus and Serena Williams) and American football (Tom Brady). 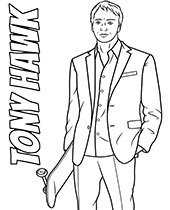 Athletes coloring pages can be a great incentive to delve into the world of physical activity. 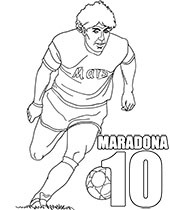 Sport is healthy, and athletes coloring pages is a great fun for children and parents!